Fettuccine deserves a fighting chance, can you help? 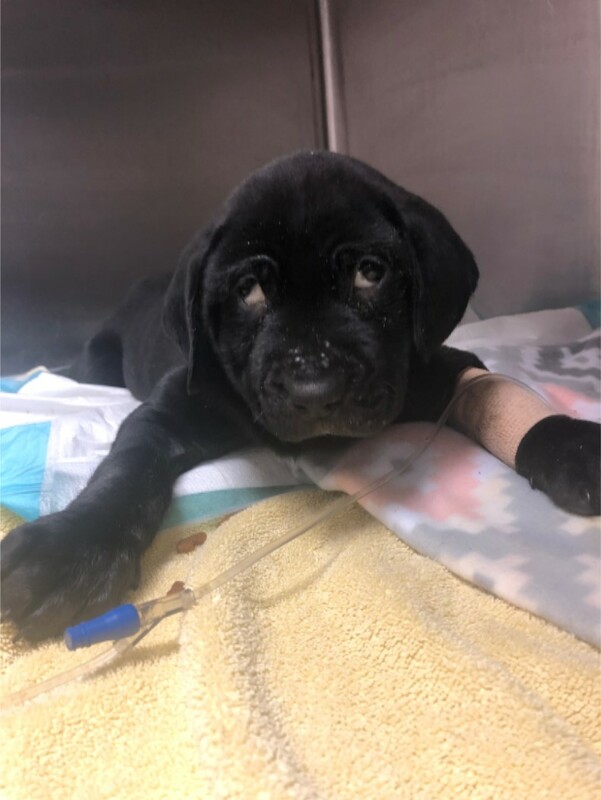 This little angel is Fettuccine, and he has been fighting for his life in our Parvo ward. He is very sick, but he has been hanging on. We want to give him every available chance to survive and have a wonderful life. He is headed to VSS right now (January 10th) for an emergency blood transfusion. This is going to cost Stray Rescue about $1,000. Please help give this guy the fighting chance he deserves. We will continue to update you on him! The blood transfusion went well. He will stay at VSS tonight getting excellent care because of YOUR DONATIONS!! We will keep you posted!! Thank you so much for your love, he can feel it! He is a strong little guy! 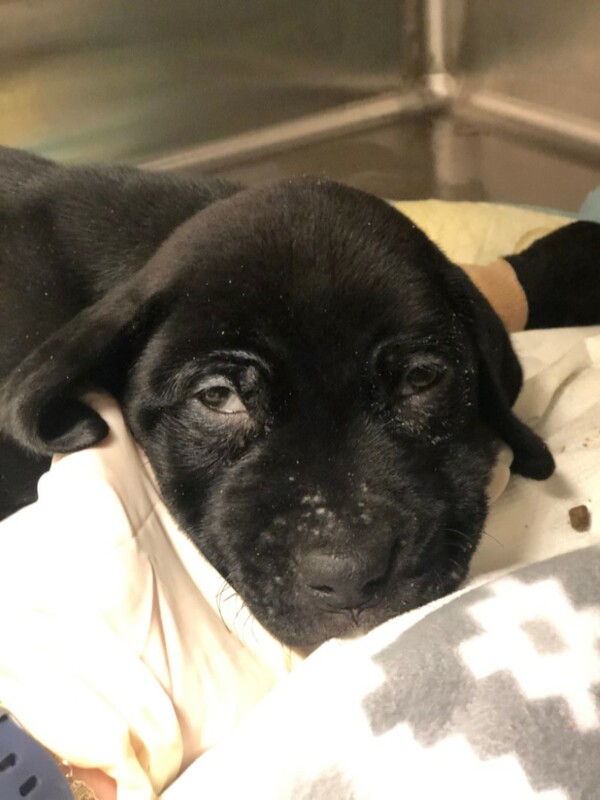 One week ago today we introduced you to Fettuccine, a little puppy battling a nasty case of parvo. With your support, we were able to send him to VSS for an emergency blood transfusion. It went well, and he was able to stay there for a few nights. 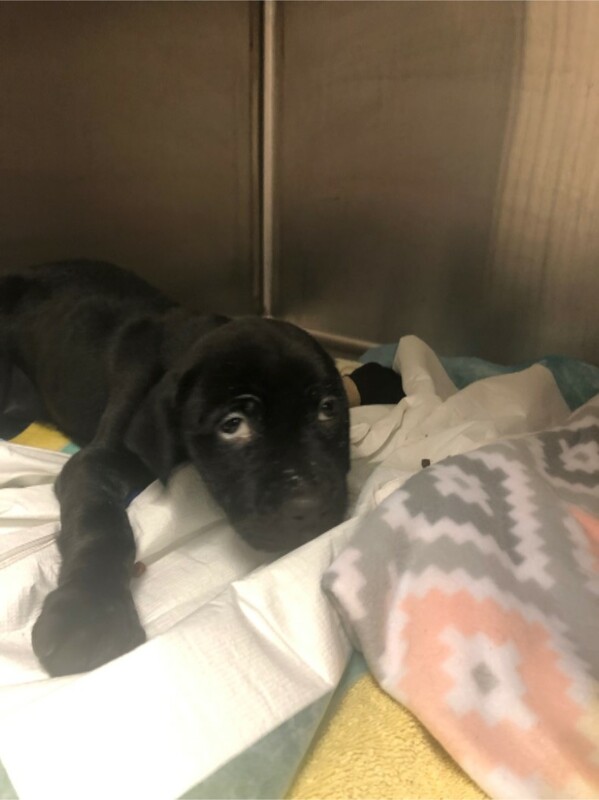 We are happy to tell you that this little guy is back at Stray Rescue and continues to get a little stronger every day. He is not out of the woods yet, but he definitely feels your love! 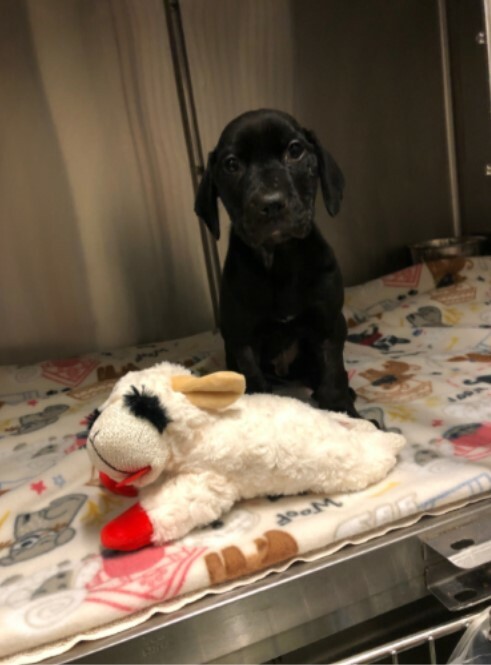 Someone even sent him this cute lamb stuffed animal and a handmade blanket to keep him company as he recovers. We will continue to update you! Thank you for supporting us and our many patients! You are our heroes!! I prefer to help with PayPal!